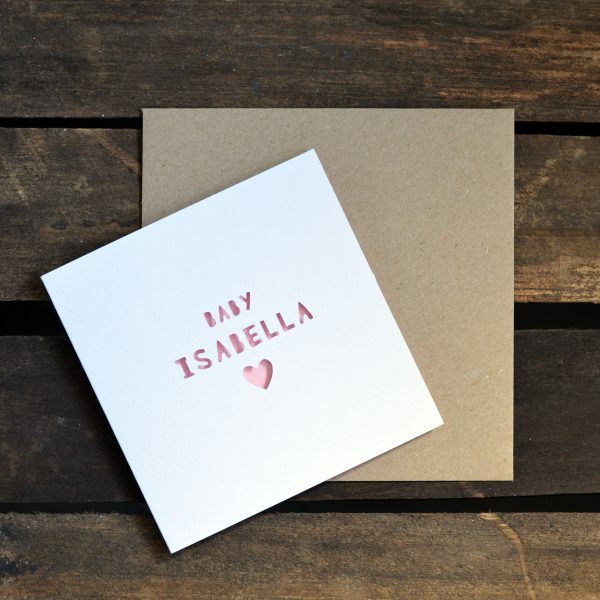 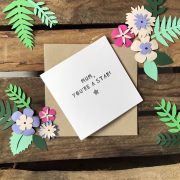 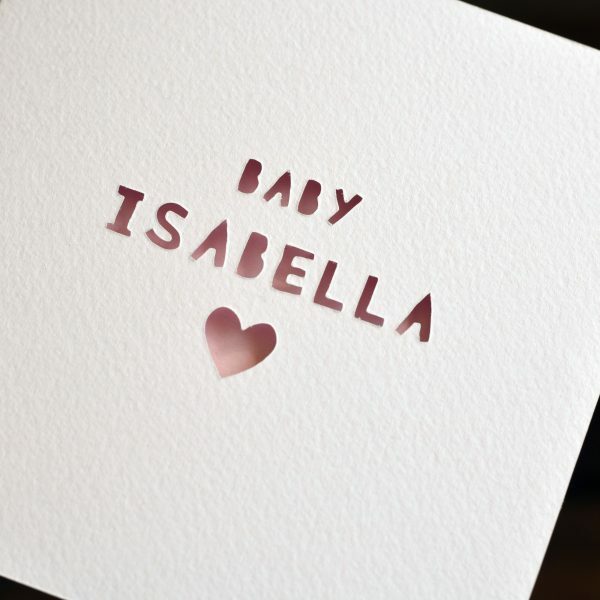 Beautiful handmade paper cut new baby card with personalised name. 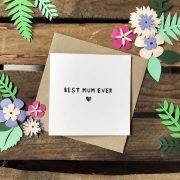 Calling all Aunties/Uncles/Parent’s/Friends to be! 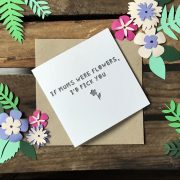 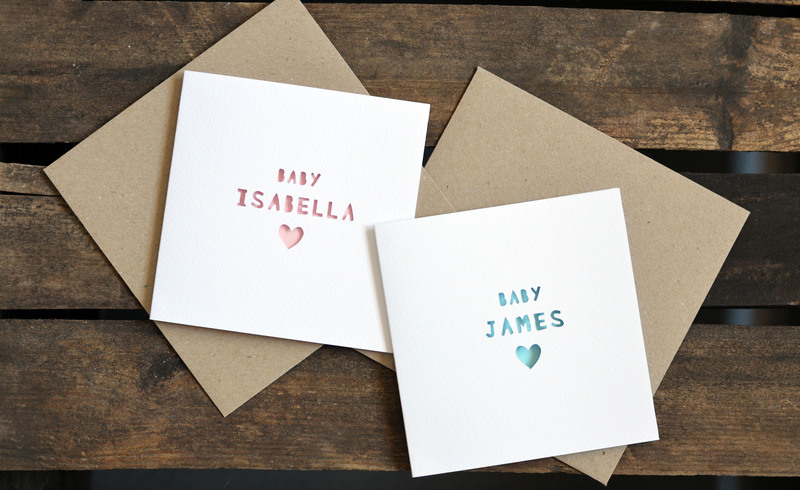 Handmade ‘It’s A Boy!’ paper cut greetings card, approx 14cm x 14cm in size, with brown kraft envelope included. 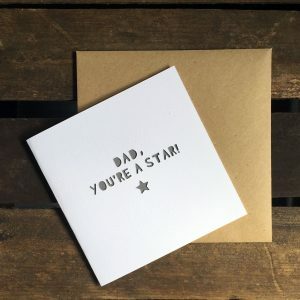 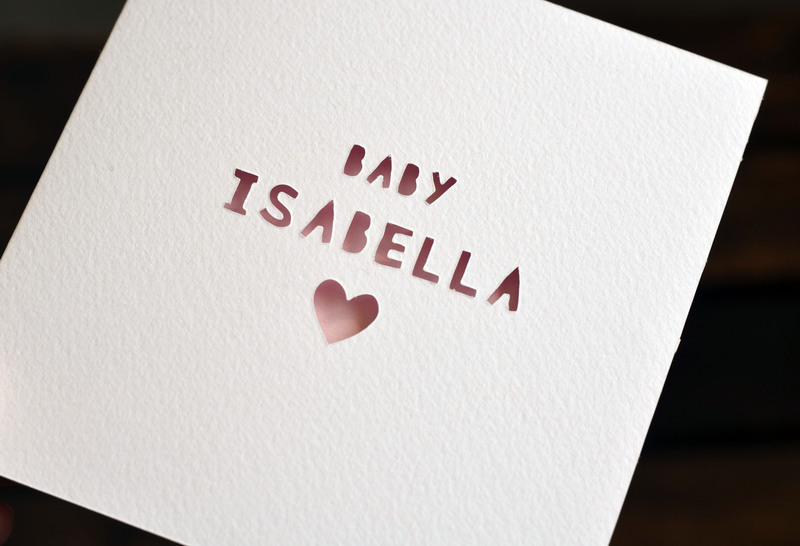 Cut from high quality 300 gsm off white water colour paper – perfect for celebrating the brand new arrival! 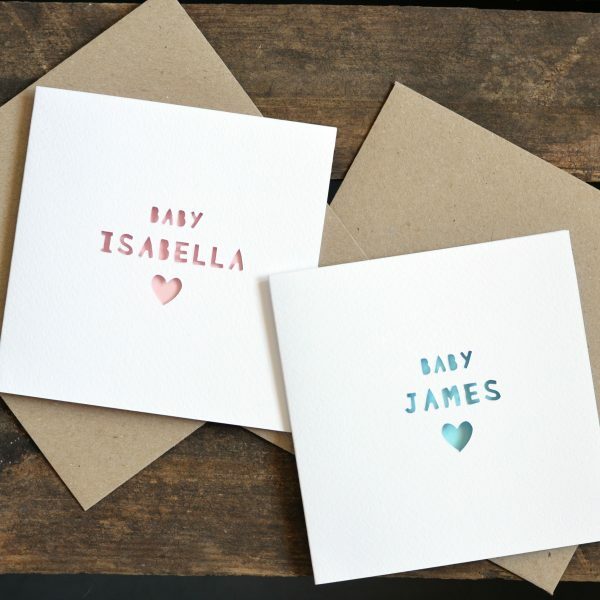 This item is personalised with new baby’s name and either a baby pink or blue background.